Camouflage clothing is primarily worn by hunters and military personal but at some point in fashion history people started wearing these pieces without needing to be camouflaged. 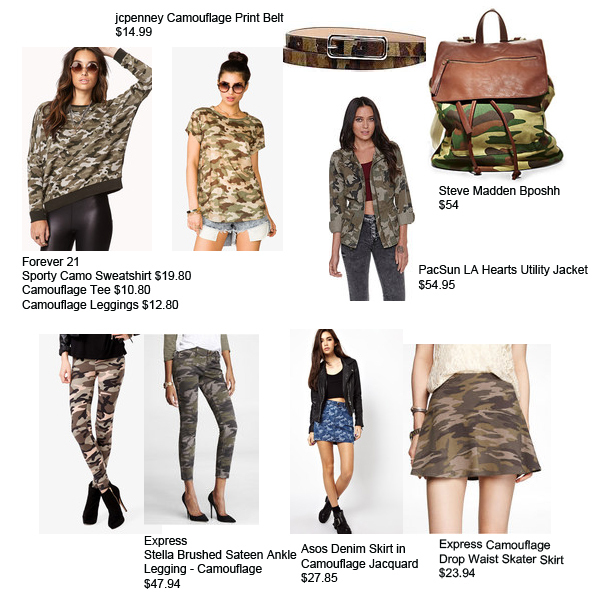 Many designers and retailers are still producing clothing and accessories with the camouflage pattern for both men and women. You can style these pieces with jeans and a blazer or shorts for a casual look or you can dress up your outfit with heels and a statement necklace. If you work in an office with a casual dress code you could put together a nice outfit with a camouflage shirt, belt, or shoes. 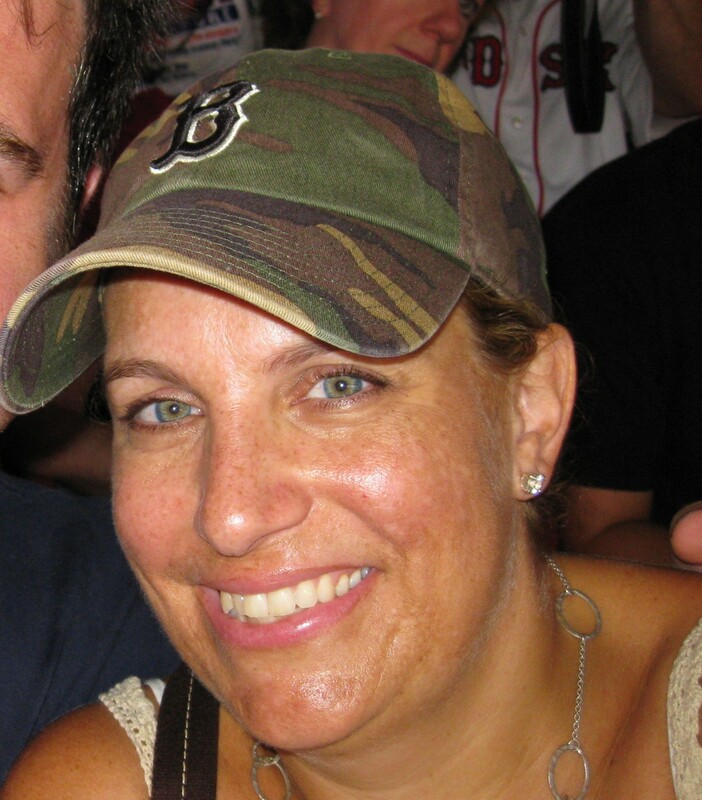 I purchased a camouflage Red Sox hat back in 2004 and recently bought a tee at Urban Oufitters. Shopstyle Featured Shops: Our editors have been curating beautiful shopping guides to help you follow the latest trends, shop the hottest sales, and dress for every occasion. Shopstyle will redirect you to the retailer’s website to purchase any item you are interested in buying. I also shopped online at Zazzle, Gap, and Urban Outfitters.